Tom Grant has over 40 years invested in making music. 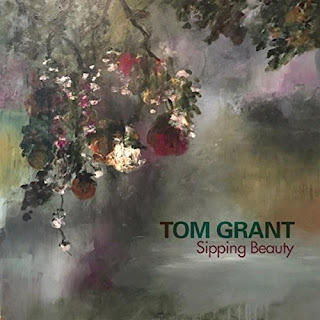 His latest upcoming release is titled Sipping Beauty. If you happen to be in the market for eclectic music, then this can be your ticket to ride. Taking a journey with music is the only way to travel. They key here is to sip the beauty and enjoy it and not take it all in with one swallow. Those of you that have a propensity for piano based music will find a lot to appreciate on this recording. “Feathers Falling Up” was one of my favorite tracks. I am sure I heard the distinctive bass playing of Michael Manring. Have you ever seen a feather go up instead of down (when there is no wind of course)? That would be magical just as the track would lead you to believe. Besides, what is music if it doesn’t have some magic and wonder around it to engage a listener and challenge the imagination? Tom Grant’s pedigree is an impressive one, playing with some of the jazz greats over the years such as trumpeter Woody Shaw and sax players Joe Henderson and Charles Lloyd, are an indication of his abilities. And that just names a few. His experience in the jazz realm can be heard in his music. That is but one element that you will hear. 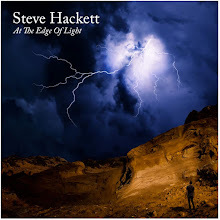 There are touches of ambient, new age, world, well just about everything under the musical sun you could think of for instrumental forays on one album. “Wrapped In Love” with whispers and steady breathy background vocals reminded me of the 10cc classic “I’m Not In Love.” I am sure it is coincidental the word love is in the title of the track and I happened to relate it to that one song. 10cc happens to be one of my favorites so it was easy for me to find something in common with the track. I do what everyone else does while listening, I relate it my own life experiences and the different music I have enjoyed since arriving on this planet. “Arms Wide Open” was another one that got my attention and touched me. The piano is so elegant and inviting along with some strumming jazz guitar fills and some carefully placed acoustic guitar picking lines. The sounds are accented with the culture of Spain. The music comes flying off the fingertips of the creator crafting the sounds, lighting up the song like firefly’s in the night sky. Even though you can classify this music as new age instrumental and meditation music it is far more than that. The different flavors and colors that interweaves into each song gives it a strong crossover appeal. If you’re a musical purist in any sense of the word you will not appreciate Sipping Beauty. However, if you go into this with your eyes and ears opened wide ready to receive a constant flow of change and transition, then you will absolutely love this album as much as I did. And remember if it doesn’t hit you right upon the first listen, try it again and sip it a little at a time, and you will then discover the beauty waiting for you inside the music. When the student is ready the teacher will show up, just listen.